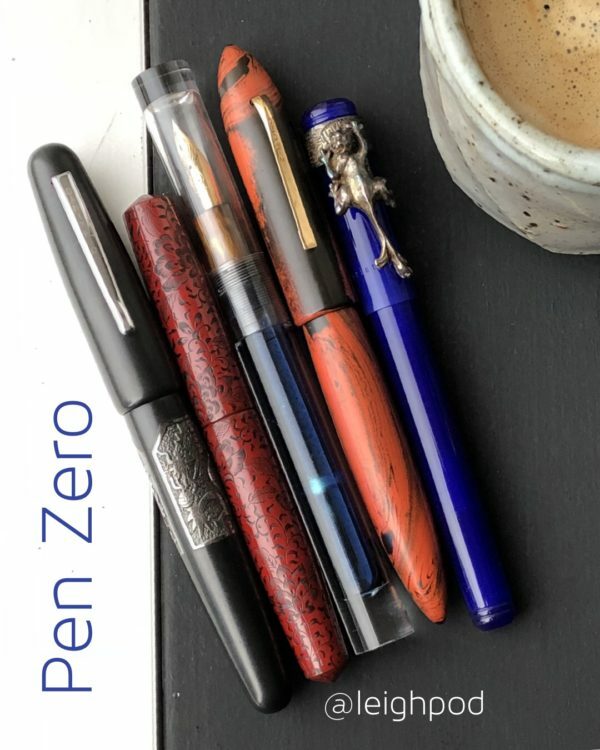 How to hack your Ranga fountain pen to accept Zebra G nibs. – Leigh Reyes. My Life As a Verb. If we’re talking experience from innocent bystander to supreme boss ninja, this hack is serious apprentice level. Enthusiastic beginner? Please have a spare pen. 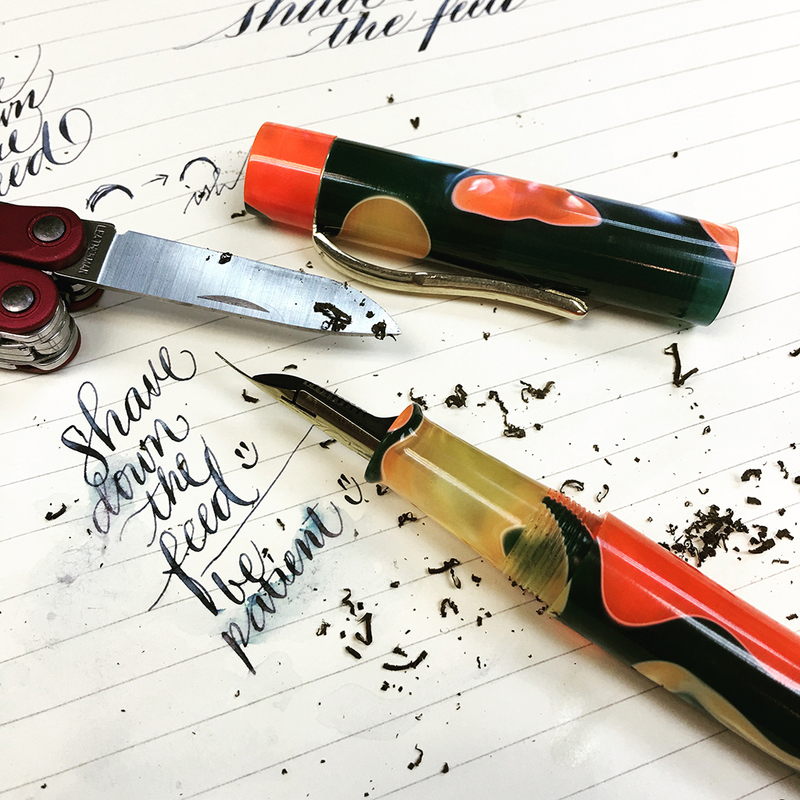 Why do this hack when there’s an almost-no-effort Jinhao hack? 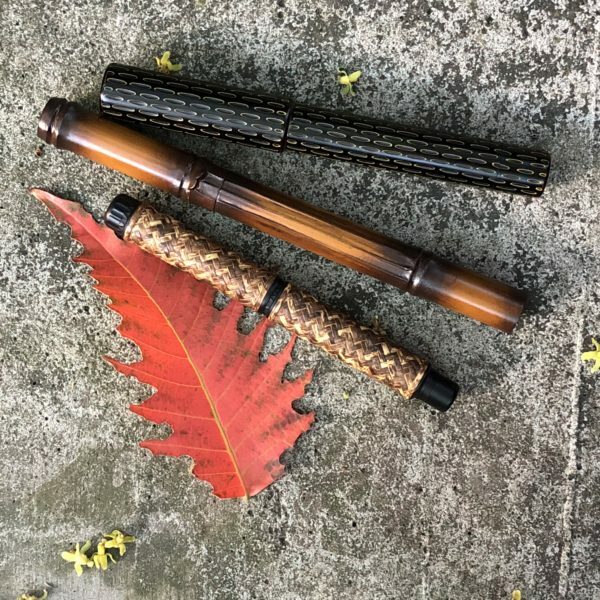 Ranga fountain pens are eyedroppers and come with ebonite feeds; both will definitely help when it comes to the increased ink flow that flexible nibs like the Zebra G require. Because they’re friction-fit, the nib and feed pull out easily, and require little effort to push back into place after cleaning. You’ll be doing this quite often if you want your Zebra G nibs to last longer. 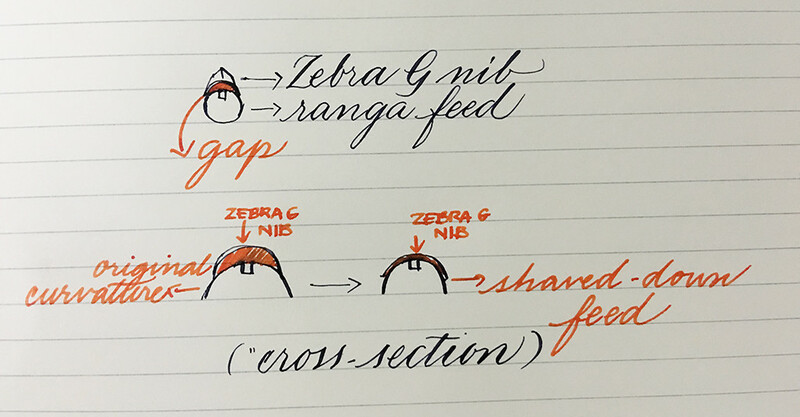 What’s the big deal with Zebra G nibs anyway? 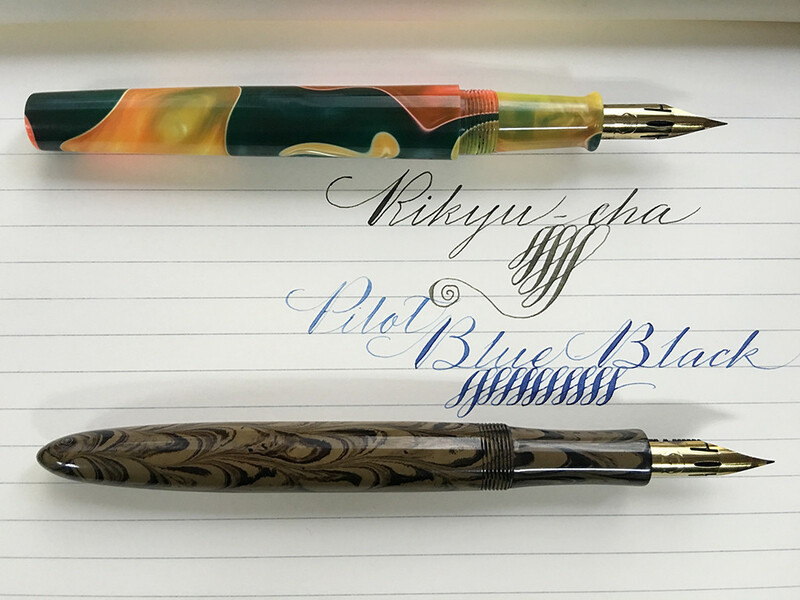 Nibs need to be flush to the feed for the ink to find its way to the tip, and the paper. So the task is to shave the feed down, with care, caution, and good lighting. I used the blade in my Leatherman Squirt, but a craft knife should work as well. Ebonite is pretty soft so take it easy. Keep checking the fit of nib and feed into the section so you don’t shave off more than what’s needed to ensure a snug fit. Don’t shave down all the way to the base. Leave the circumference at the base intact so the feed sits in the section as it was sized to. 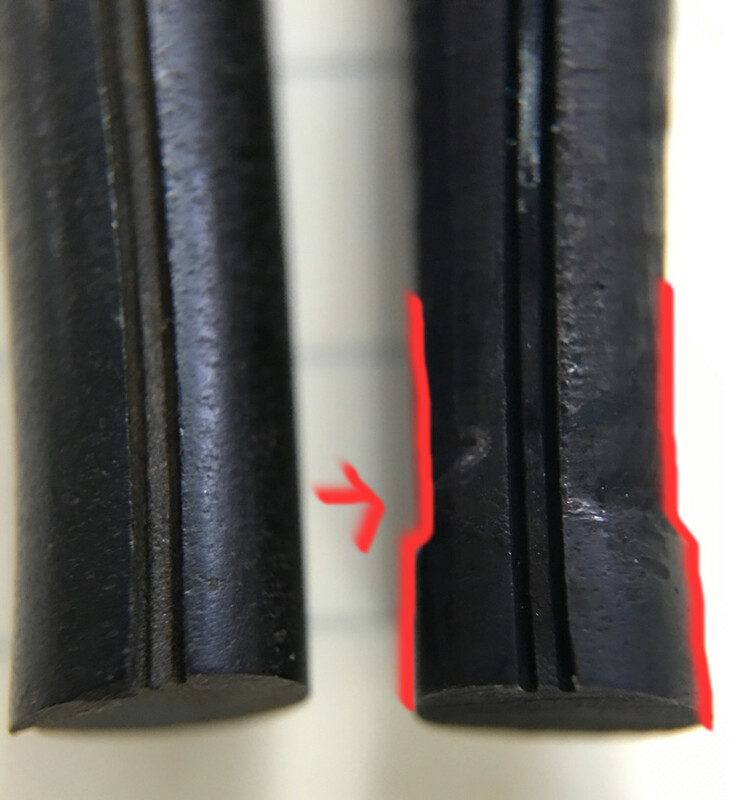 With a little pressure, you should be able to see the gap between the nib and the feed closing. I can’t repeat this enough: be patient! 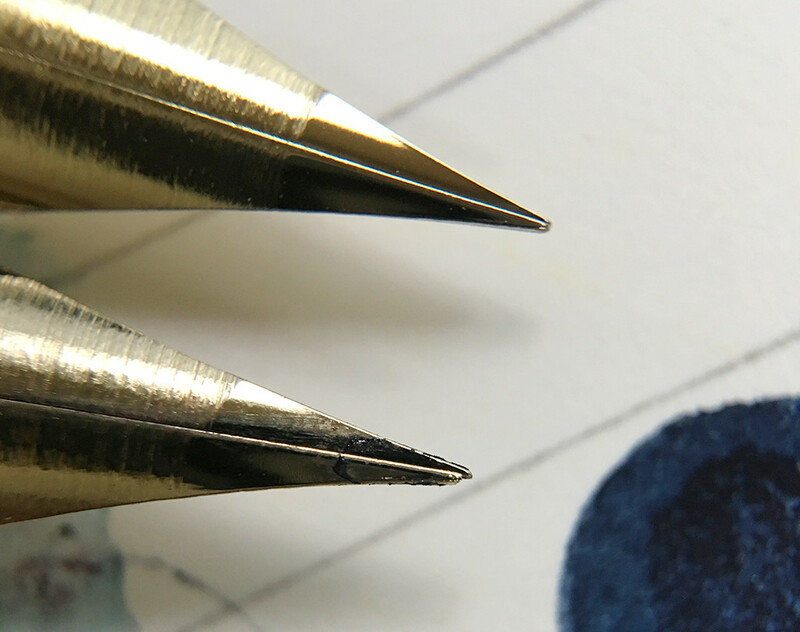 Check that there’s no gap between the nib and feed when inserted into the section. I’ve not done a single hack where the flow was right the first time. To check what’s going on, put ink in the pen. Flick the pen to get ink to the feed. Write with it until the ink stops flowing, or railroads. Then grip the nib and feed with thumb and forefinger, remove as a unit. 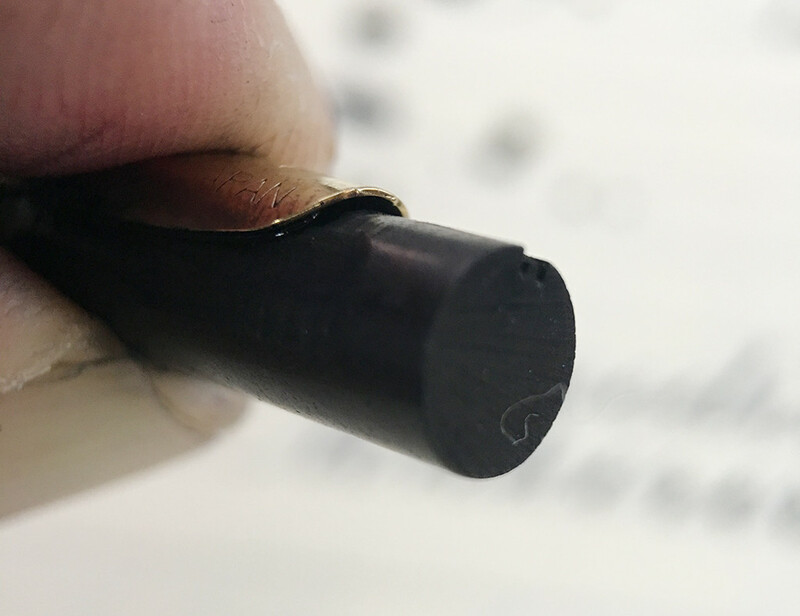 Check the underside of the nib and the surface of the feed – usually the ink hasn’t travelled all the way to the tip. That’s your clue that there’s something off with the flow. Inspect the feed to make sure there’s no dirt or particles caught in the feed channel or fins. Scrub the feed too. Don’t take any chances with fancy ink. 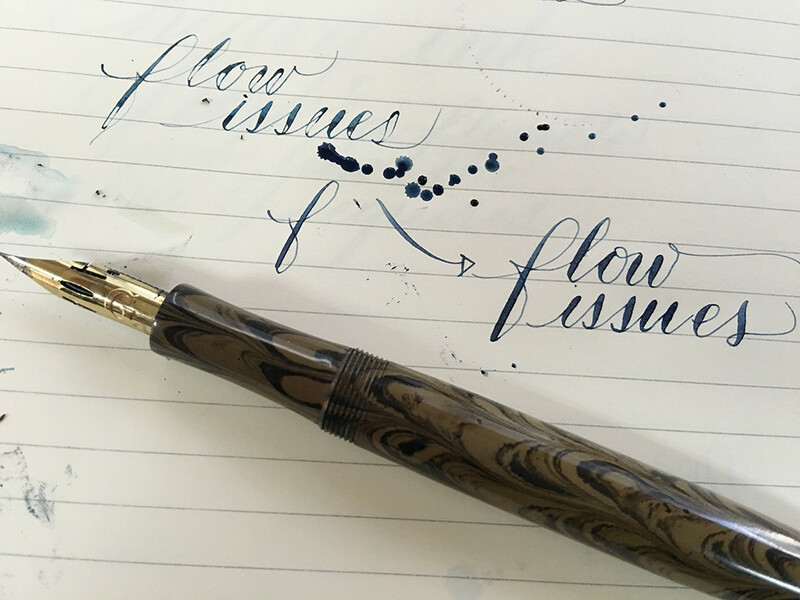 Use an ink known for wet flow – my favorite is Pilot Blue Black. Also be careful when deepening the feed channel – but almost always, you’ll have to. 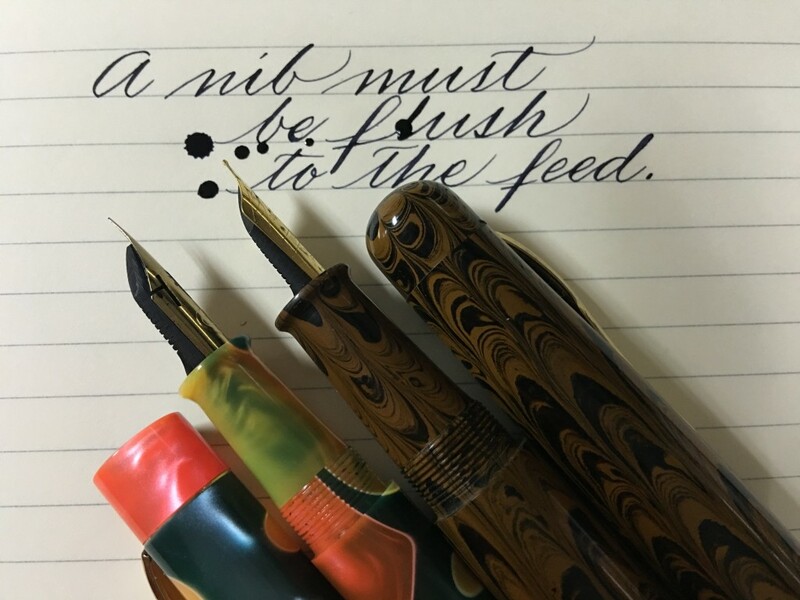 Zebra G nibs have very sharp tips. They can snag on paper and sometimes, a tiny tiny bit comes off. When your nib feels very rough on paper, it’s time to move on to the next. 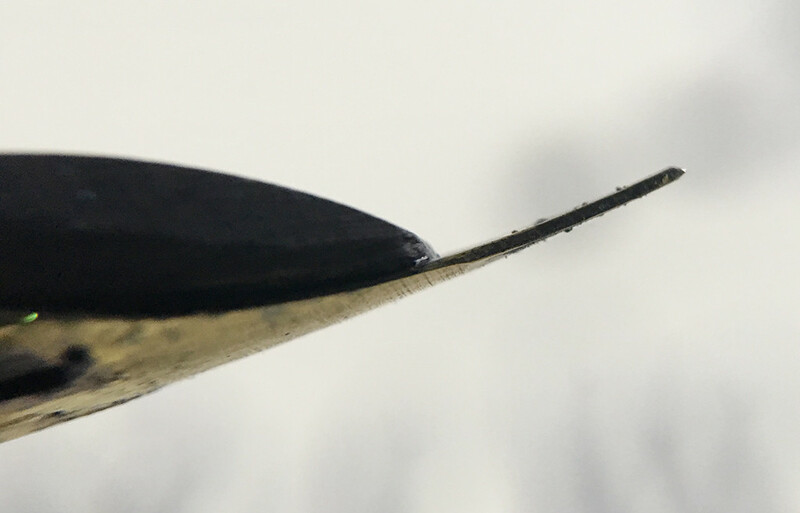 In the image below, the bottom nib will no longer write as well – one tine is already shorter than the other. 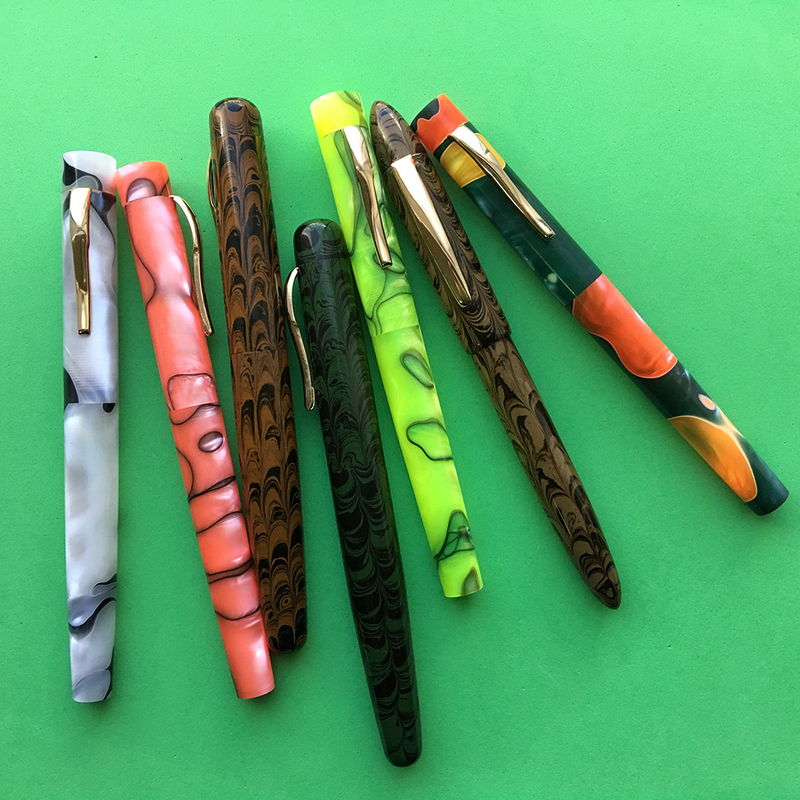 This hack is totally worth it if you’re after a consistent flexible nib experience and enjoy tinkering! 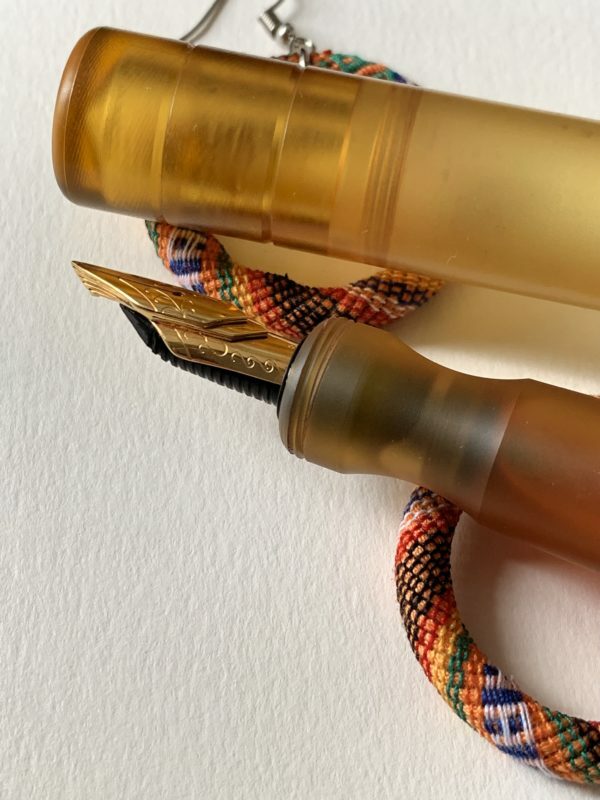 Plus, you’ll learn a whole lot about the interaction amongst nib, ink, feed and paper, lessons which you can apply to any pen. Two down, five more to play with! 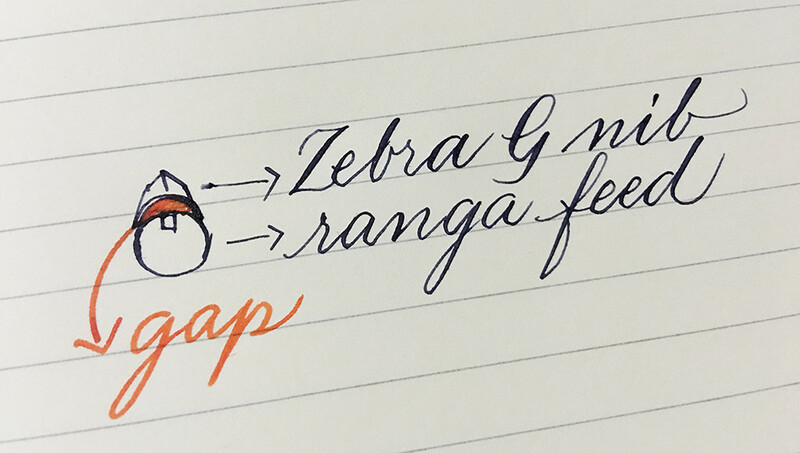 I bought the Ranga pens from Pengrafik, and the Zebra G nibs from Jetpens.